Of late, the US has staged another missile warning drill with Japan and the south Korean puppet forces in the waters around the Korean peninsula under the pretext of detecting and tracking the DPRK ballistic missile. The US-led missile warning drill, the fourth of its kind this year, is a serious military provocation further exacerbating the grave situation of the Korean peninsula and the region. The US continuously stages various kinds of joint military exercises against the DPRK, including two times of missile warning drills in 2016 and four times in 2017. This fact alone fully illustrates the extreme level of the insane military provocations of the Trump administration. The missile warning drill is aimed at accelerating the building of the missile defence system and the formation of tripartite military alliance of the US, Japan and south Korea to maintain the military supremacy in the Asia-Pacific region under the pretext of coping with the "nuclear and missile threat" from the DPRK. Such attempts by the US will inevitably bring about a new arms race and a new cold war in the Korean peninsula and Northeast Asia. The missile warning drill aimed at putting maximum pressure upon the DPRK was conducted following the largest joint naval and air drills staged recently by the Trump administration by mobilizing three nuclear aircraft carriers and hundreds of fighter planes with a great number of nuclear preemptive strike means. 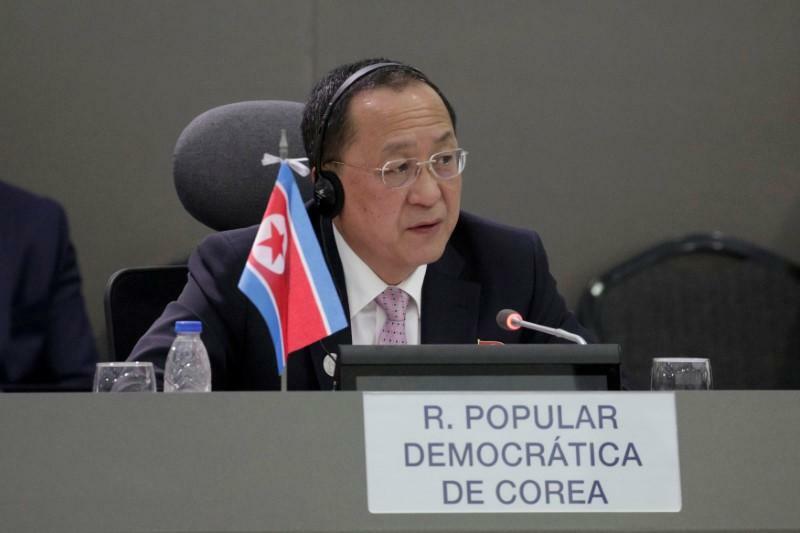 The DPRK will never tolerate the on-going dangerous war games conducted by the US while condemning the strengthening of its self-defensive nuclear deterrent. The reality shows that the DPRK was absolutely right in having built up its powerful nuclear deterrent which could end for good the 60-year-long nuclear threat and blackmail of the US against it and firmly guarantee the security and prosperity of the Korean nation and peace of the Korean peninsula and the region. Any country, if it is really interested in the stability of the Korean peninsula, should condemn the continuous nuclear war provocations and hostile policy of the US against the DPRK, instead of criticizing the latter's efforts to develop its strategic nuclear weapons for defending the sovereignty, territorial integrity and peaceful life of its people from the US nuclear threat and blackmail.